I used to have this drink religiously with my almuerzo (lunch) in Cartagena, Colombia. 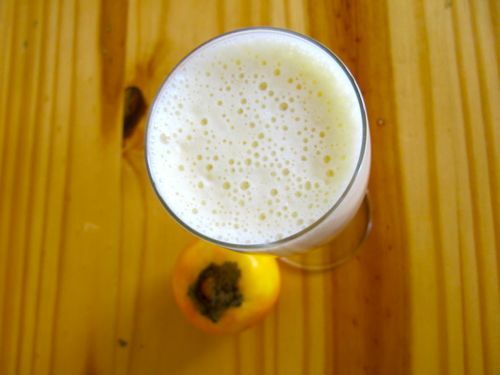 It has a tangy, kiwi sweetness from the naranjilla (called "lulo" in Colombia) mixed with the citrusy tartness of pineapple - add sugar and milk and it becomes manna from the heavens. Oh, sweet magic of the gods. Salud chicos! 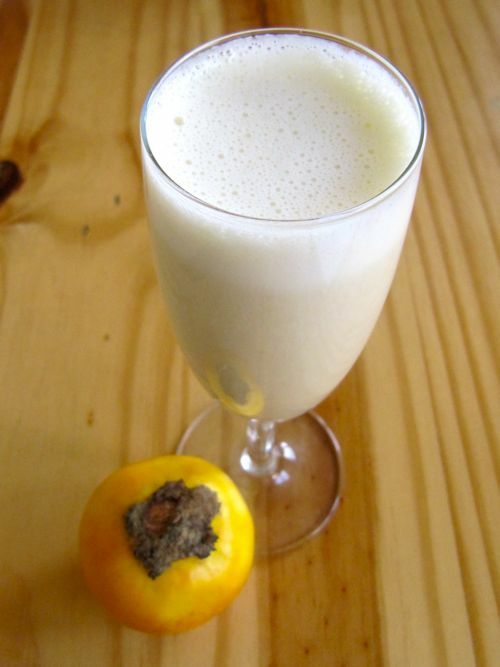 Scoop out the naranjilla pulp into a blender. 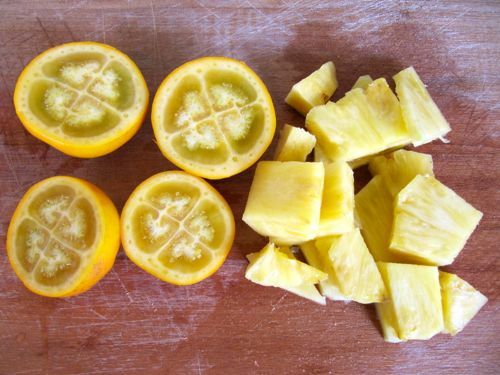 Add the chopped pineapples (must be very ripe). Blend until the fruit is a fine paste. Add sugar. Taste. Add more sugar if you want it on the sweet side. 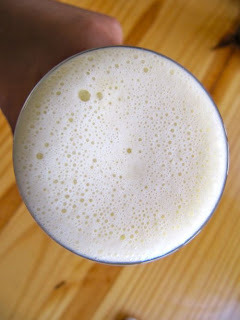 Add milk and blend for a couple seconds. Serve and enjoy.